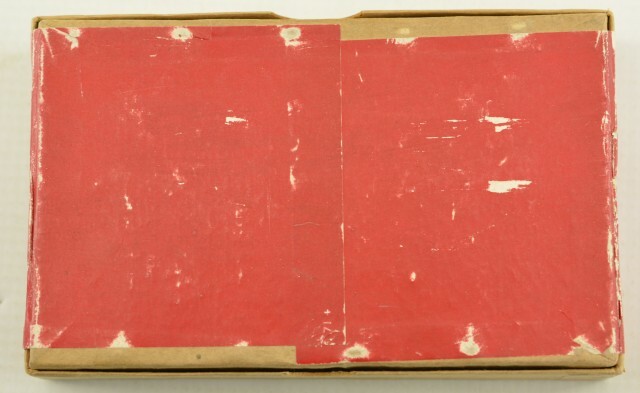 Description: A reference box that is sealed, from the Dominion Cartridge Collection, dated 1928 in black crayon. For the 43 Mauser loaded with black powder. 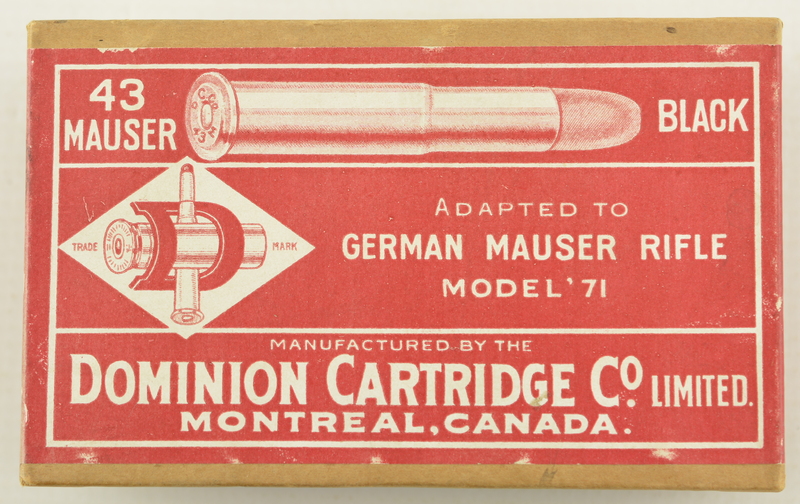 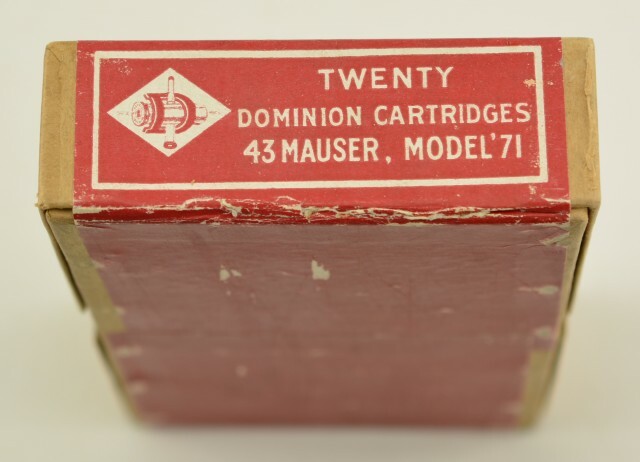 The maroon and white label advises "Adapted to German Mauser rifle model '71" a full box of 20 rounds. 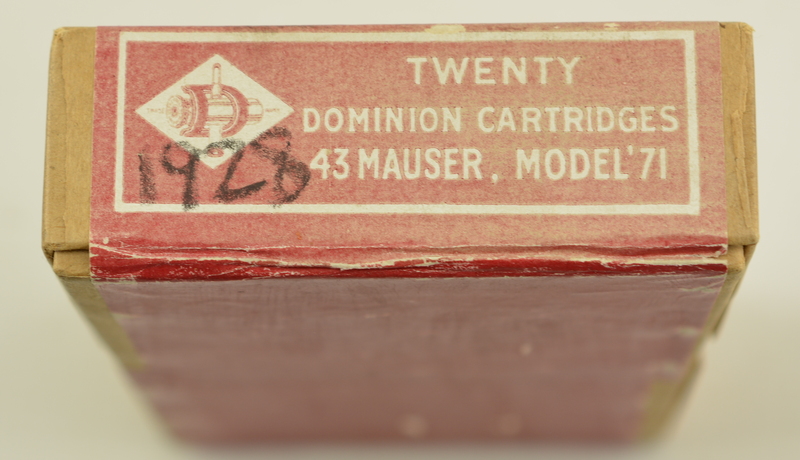 An excellent box from the destroyed Dominion/Cil factory reference collection. This box was one of the few saved by Joe Sr. from destruction.